I promised you a recipe using the Florence fennel I harvested the other day, and for a change, I’m delivering in a timely fashion. Fresh produce waits for no one! 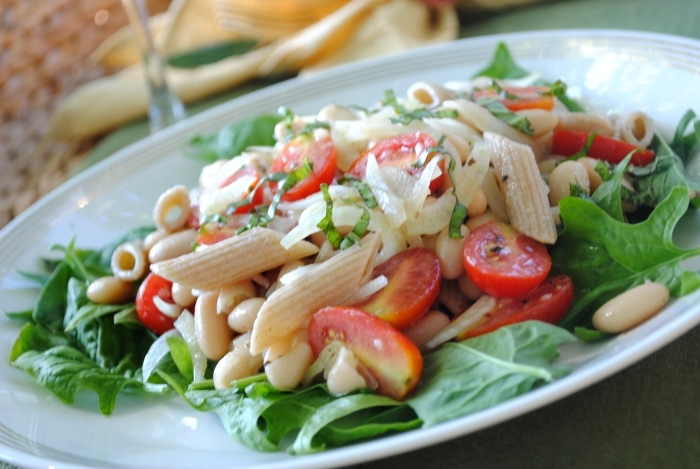 This salad is a take on a traditional Italian dish, Pasta E Fagioli, or pasta and beans. Mediterranean peasant food is my all time favorite. If I have to be more specific, then it would the simple practical Tuscan dishes which utilize fresh seasonal produce, cheese, hearty breads, and leftovers. My sister, the world traveler, just gifted me this tin of cold pressed organic olive oil she picked up on a recent trip to Cyprus. 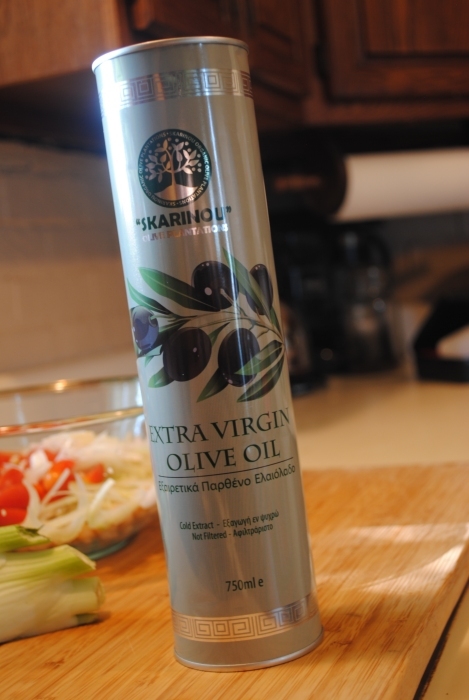 I thought this recipe would be worthy of such a high quality olive oil. Some day I would love to visit Greece and Italy, but for now I’ll have to live vicariously through my sister’s traipsing around. Cook the pasta according to package directions. I’m always sure to salt my cooking water because I hate bland pasta. 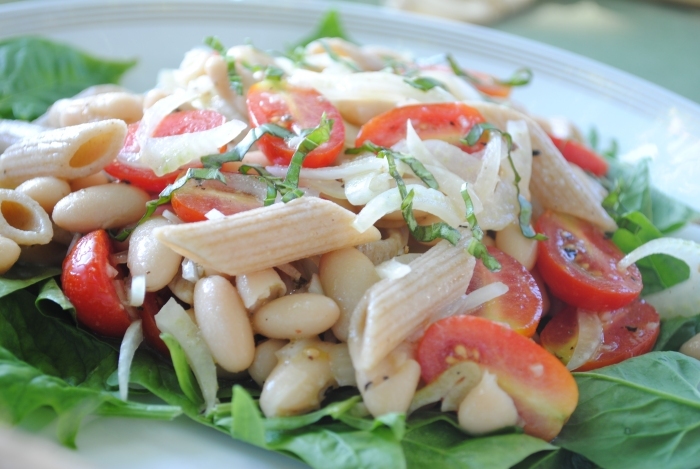 Combine the beans, fennel, tomatoes, onion, garlic, lemon juice, olive oil, salt and pepper in a roomy bowl. Drain the pasta and toss with the bean mixture. Place greens on a platter or plates, and spoon mixture on top. Garnish with chiffonaded basil. I would have preferred to use my favorite arugula, but my current planting isn’t ready yet. I still had a little bit of spinach left in the garden, so that’s what I was stuck with. Cress would be a good choice for greens also. 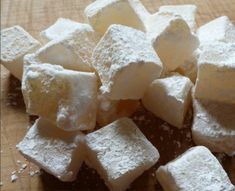 I guess I like anything with a bit of a peppery bite.